Looking to get beautifully bronzed just in time for spring? Then skip the tanning bed and avoid a potential run-in with skin cancer by applying a great sunless tanner. Meet your perfect match and get the glow of a lifetime with the help of celebrity makeup artist and co-founder of Luxe Beauty Team, Amy Hollier. 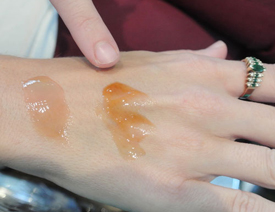 Before applying self-tanner to your face or any other part of your body, test a few colors on your hand (if you can) to see which shade or shades work best. For fair-skinned girls, look for a shade that very closely resembles the color of your current skin tone, says Hollier. This will give you a nice sun-kissed look, not an overly fake or intensely orange one. She adds that many tanning products are labeled based upon the color of your skin, so look out for phrases like “light to medium” and “medium to deep” when choosing your shade. If you want a light glow or just a hint of color, go with a tanner that’s only one shade darker than your natural skin tone and that blends well. This should be easy to tell once you do the hand test. If you want to go for a more tropical look, use a darker tanner, says Hollier. This typically looks best on women who already have a bit of color because it can appear unnatural on fair skin. Try a sunless tanner no more than two to three shades darker than your natural skin tone to achieve a deep, golden-bronze tan. Thoroughly wash your hands (you don’t want to leave any splotches!) and get ready to apply your tanner. Double-check that your skin is clean. Grab a pair of latex gloves or a small sponge with which to protect your palms. If you’re tanning your whole body, start from your feet and work your way up, skipping spots such as your heels where sunlight doesn’t usually hit. 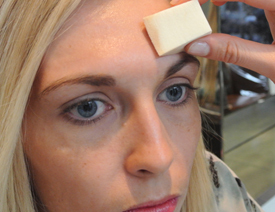 When your sunless tanner dries, evaluate and add another layer if you want to go darker.